Hello, Joel Greene here from Condo Hotel Center. I was recently contacted by a developer in India, a gentleman who is a pioneer in that area for the development of condo hotels. He told me that his property would be between Pune and Mumbai and asked me whether I had been there before and knew the area. Fortunately, he had a good sense of humor because I told him that much of what I know about India I learned from Indiana Jones and the Temple of Doom. “The India portrayed in Indiana Jones,” he explained, “was loosely based on a time roughly 80 years ago. Needless to say, things have changed quite a bit since then.” And with that, he began to tell me about the thriving Indian economy and the Rhythm Residences condo hotel, the details of which I’m pleased to share with you in today’s featured property. 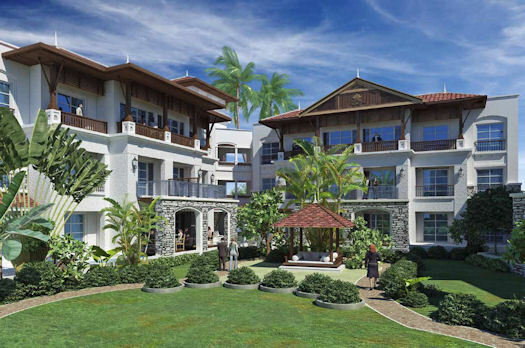 Rhythm Residences will be a 5-star condo hotel in Lonavala, India, near Mumbai. Condo hotels have been selling here in the United States for almost 10 years. However, it’s a concept just now making its debut in India. Rhythm Residences will be among the first condo hotel developments built in this country’s dynamic economy, growing by about 8% per year. 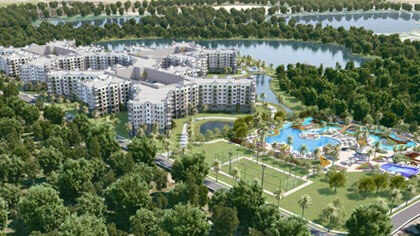 Construction is already underway, having begun January 2012 with an expected completion date of December 2013. 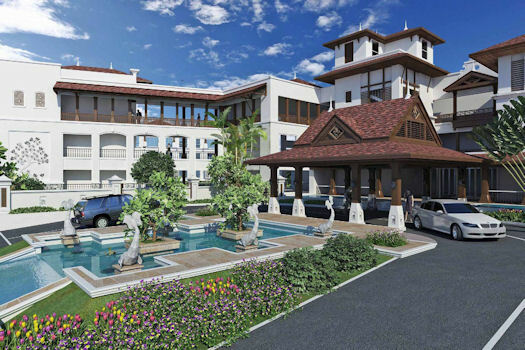 Colonial-style architecture and top-notch amenities will make this a first-class resort. It will be a five-star property comprised of fully-furnished condo hotels, along with state-of-the-art facilities, and operated by a popular Asian franchise. 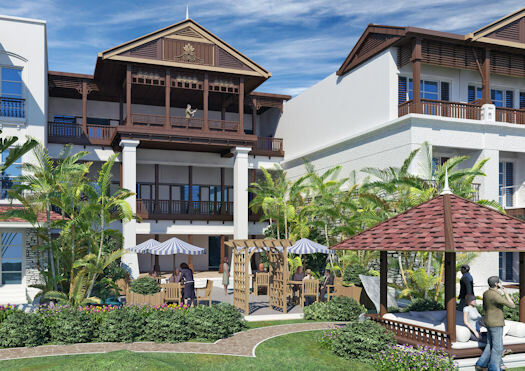 The property will consist of seven buildings: six residential blocks with a Southeast Asian Colonial feel and a seventh building containing the hotel’s restaurants, bar, lobby, library, cigar lounge, games rooms and other facilities. The location of Rhythm Residences in Lonavala, India, near Mumbai, is considered a great getaway destination. Game room including billiards, snooker, ping pong, etc. The amenities and operation of the condo hotel will be serviced to five-star standards by ‘U’ Hotels & Resorts, an Asian hospitality brand that includes 33 quality properties in Thailand, India & Vietnam. 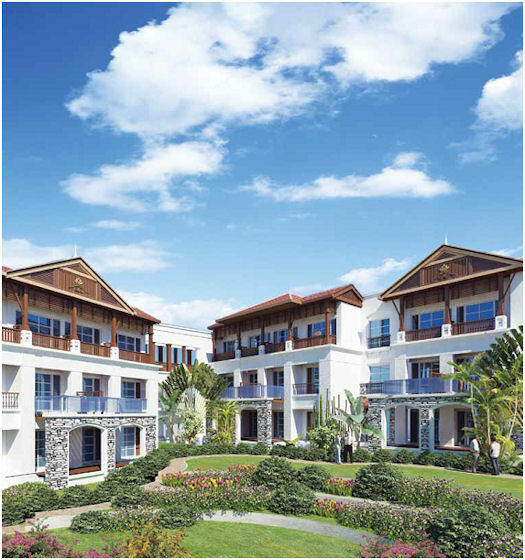 Lush landscaping will complement the property’s six residential buildings. Rhythm Residences will contain 84 luxurious condo-hotel residences, each with a balcony, self-contained kitchenette and comfortable living and dining areas. 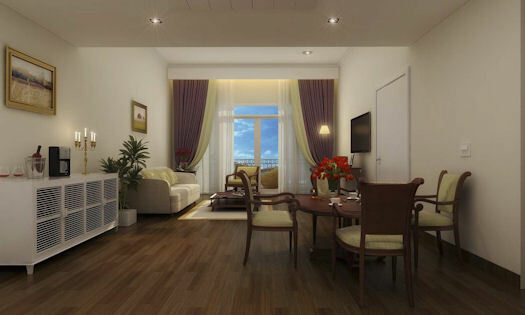 The condo hotel units will be delivered fully furnished by a professional decorator. 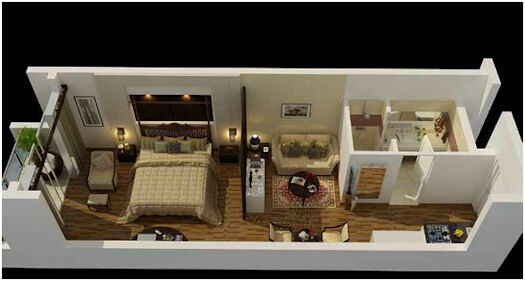 The fully-furnished interiors will consist of top-of-the-line furnishings and fittings. All beds, soft furnishings, bathroom accessories and fittings will conform to five-star deluxe standards. Each residence will also have state-of-the-art electronics including smart HD televisions, DVD player, Wi-Fi connectivity, intelligent lighting and phone systems. Owners can use their home 30 days per year. The rest go into the rental pool. Certain units will come with an option to purchase either a private garden, viewing deck and/or provision for outdoor rain showers. A rain shower is a private, outdoor shower area attached to the bathroom to allow for showering outdoors. This is considered an exclusive amenity in a vacation home in India. Who knew? Lonavala is nestled amongst the Sahayadri Mountains in Western India and is surrounded by cascading waterfalls and emerald green hillsides. It offers an abundance of recreational and outdoor activities from hiking to swimming and adventure sports. The city is close to both Mumbai (75 miles distance) and Pune (45 miles distance) and offers easy access via the eight-lane Mumbai-Pune Expressway. Lonavala is 45 minutes east from the upcoming Navi Mumbai Airport in Panvel and 45 minutes west from the upcoming Hinjewadi area in Pune. In the future, Lonavala is expected to become “the Hamptons of Mumbai and Pune,” and property prices are expected to appreciate significantly. Existing hotels in Lonavala are quite old, yet still do great business because of the city’s close proximity to Mumbai and Pune. 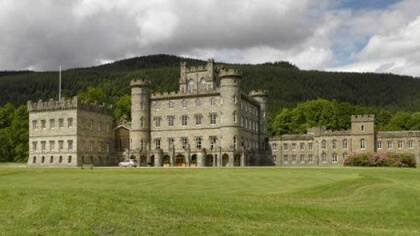 For the past decade, it has established itself as a destination for corporate conferences, banquets and weddings. What Lonavala lacks, however, is a good-quality, branded hotel. 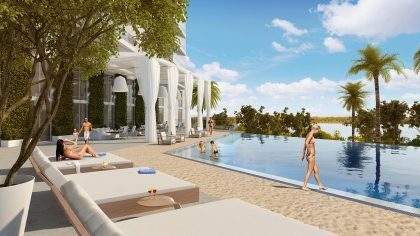 Rhythm Residences will fill that gap and attract business and social groups as well as vacationers looking for a holiday getaway. Rhythm Residences will contain 84 luxurious condo-hotel units, with balconies overlooking the gardens. Owners of the condo-hotel units at Rhythm Residences may enjoy their home for 30 days a year, upon notifying the Property Manager in advance, free of cost (on a room only basis). For the remaining time, ‘U’ Hotel will place the residence in the rental pool for other hotel guests and will generate income. The unit owners will receive 50% of the gross room revenues from the operations of the hotel. I need to point out here that unlike U.S. condo hotels, rental revenue is pooled, and participation in the pool is mandatory. Also worth mentioning, in the U.S. we do not sell the investment aspects of a condo hotel, per the rules and regulations of the SEC. In India, they do not follow these same guidelines. Prices for the condo-hotel units at Rhythm Residences range from approximately $147,000 for a studio to $368,000 for a two-bedroom unit. Those numbers are based on current exchange rates and do not include costs for stamp duty and registering the agreement with the government authorities in India, VAT and service taxes, which can add about 10%. Request the Rhythm Residences data sheet. Thank you for joining me on our little adventure to India. I realize it’s not the typical vacation home destination, but I thought you’d find it interesting to hear about a development in that part of the world. As Indiana Jones said to his students: “We do not follow maps to buried treasure, and X never, ever marks the spot.” I have no idea how that relates to condo hotels and Rhythm Residences, but I’m certain it does.